His love of technology was kindled by a model aircraft he got for Christmas one year. 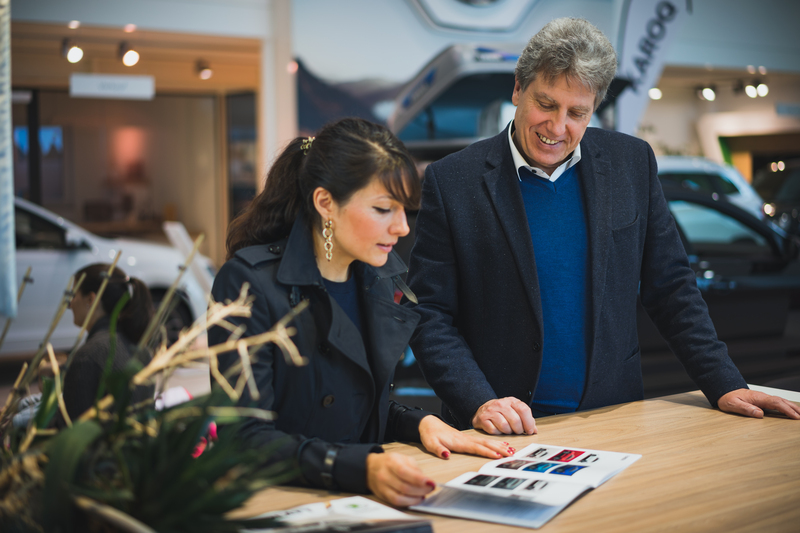 Following an apprenticeship at an airport, Reinhold Welker set up his own garage, and now he owns a dealership with annual sales of more than 600 cars. There’s no limit to Reinhold Welker’s passion and enthusiasm. He admits though that, back then, he couldn’t have taken those first steps without a helping hand. The model airplane he received as an 11-year-old from his father that Christmas turned out to be a huge challenge. The sheer number of components, the complexity of the design, and the intricacy of the control mechanics were overwhelming. So he approached the local model airplane club for assistance. This was his initiation into the secrets of how tiny mechanisms run smoothly and set him on his path in life. Learning about things, about their essence, has always fascinated Reinhold Welker. Simple answers were never enough. He wanted to know everything, to understand every detail. He was soon building bigger models that were more complex, more complicated. Technology, especially if it involved planes, made his heart race. No wonder he jumped at the opportunity of an apprenticeship at the airport in Frankfurt. Sure, an engine mechanic was not his first choice of job, but it was a chance to get close to his beloved planes. He couldn’t have asked for more at that moment. Welker quickly absorbed the way the mechanics worked, their skills, and his supervisor’s approach to the job. There was nothing they couldn’t fix. Nothing was impossible. Inspired, he built a centre console into his car simply because he wanted a tape player. “At that time, that was more important than anything else. Nobody needed power steering or brake boosters or any other of that high-end stuff. Life would have been empty without music,” Welker recalls with a smile. He soon realised that this was a passion he had to share. Welker’s supervisor not only taught him to stand on his own two feet, but also encouraged him to complete his studies and become a master mechanic. In 1987, he passed his finals and quickly teamed up with a friend to open his own garage. A modest outfit, it had no ramps and barely any storage space. But it was his own! Before long, he became a Yugo authorised partner and moved into car sales. 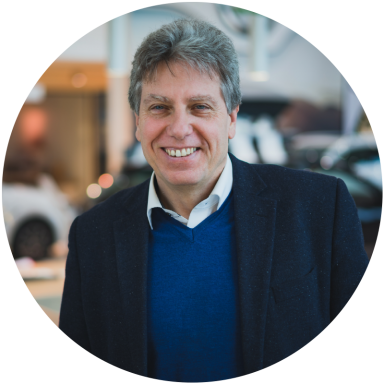 Unfortunately, the fall of the Berlin Wall and the collapse of the Soviet Union frustrated his ambitious business plans in that, while he had customers queuing to buy new cars, the supply chain had dried up and he had nothing to offer them. These complications were a blessing in disguise. 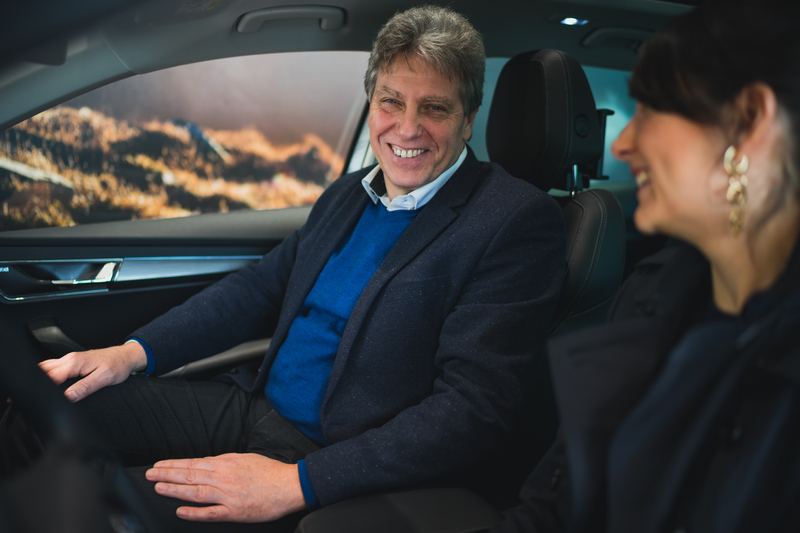 A partnership with ŠKODA and VW was in the offing, and Welker was sure he could persuade them of his selling skills. 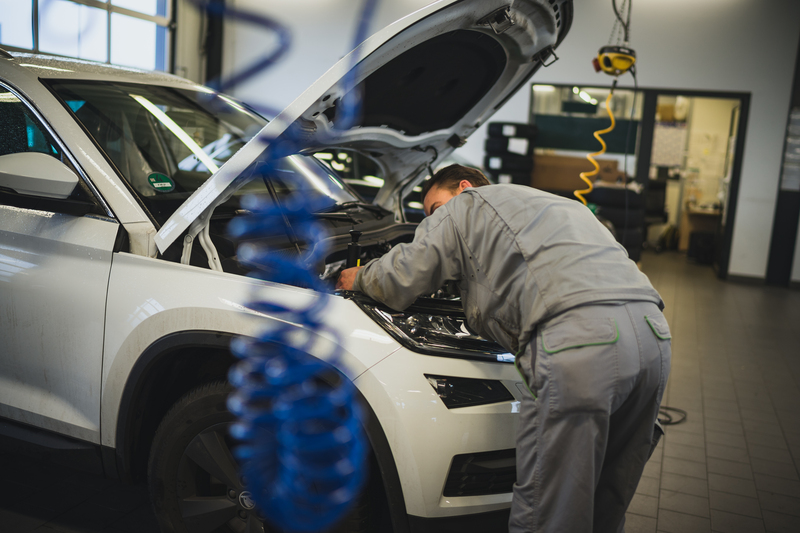 Yet the Czechs expected more from a potential partner than a small workshop in Gräfenhausen. 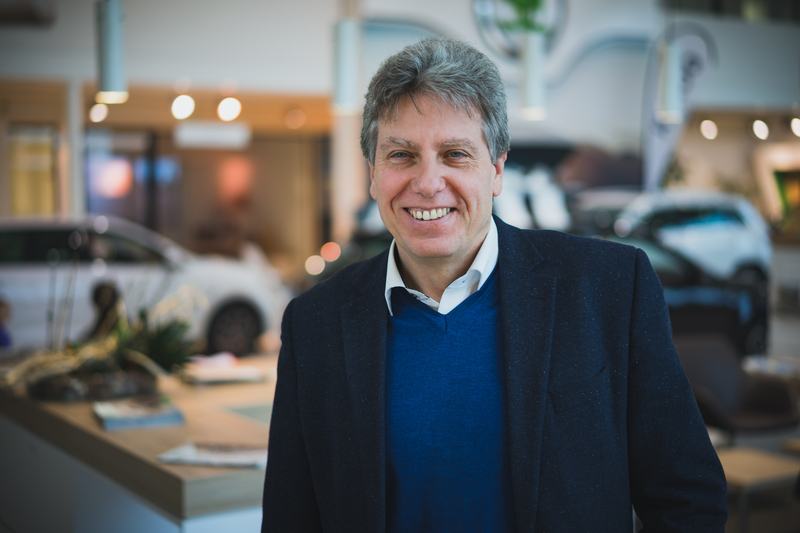 Refusing to give up, Welker started selling the cars on his own, relying only on ŠKODA brochures passed on to him by his former Yugo contact. 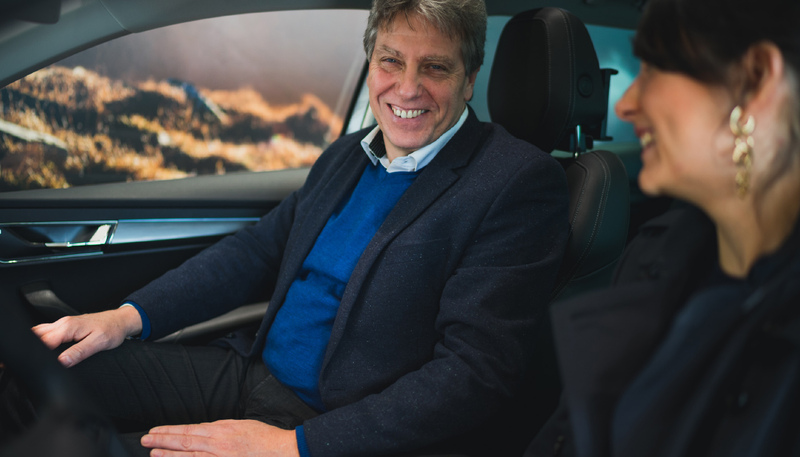 His staggering success brought ŠKODA to the negotiating table and, in 1993, he became the fourth West German dealer to sign a contract with the carmaker. 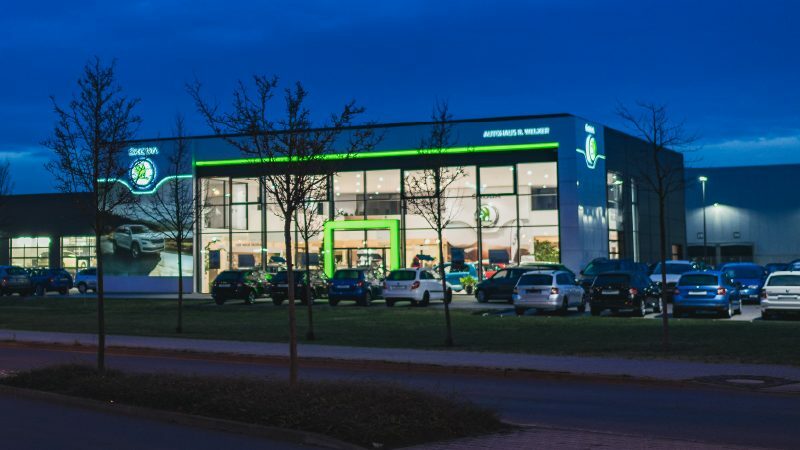 To cope with the dealership’s rapid growth, he had to relocate to Wixhausen, where he moved into a 1,800 m² showroom with a stunning outdoor area. ŠKODA’s success became Autohaus R. Welker’s success. But Welker is quick to point out that he never could have done it without his wife. He proudly explains that she is the one who coordinates the running of the family business and supports him every way she can. 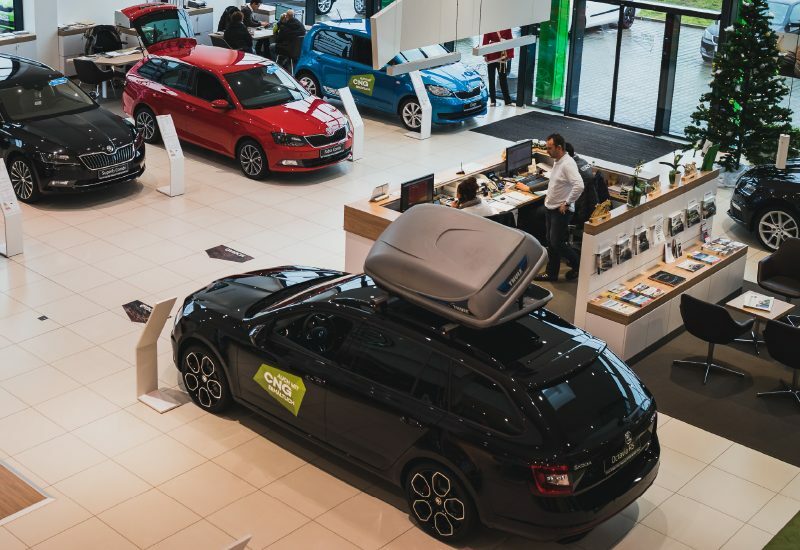 Today, Welker welcomes his customers in one of the largest privately owned ŠKODA showrooms in Germany. 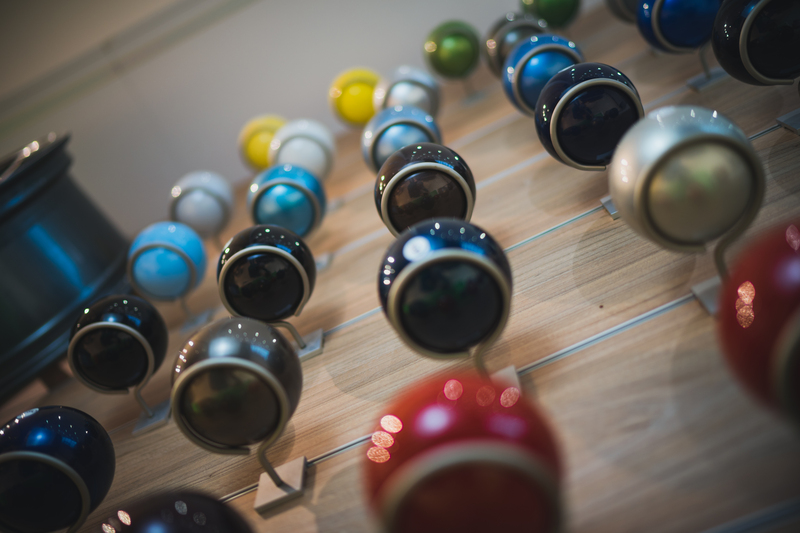 The 6,500 m² display area and the 30 employees are a testament to the brand’s popularity. Most of the people working for Welker are long-time associates. 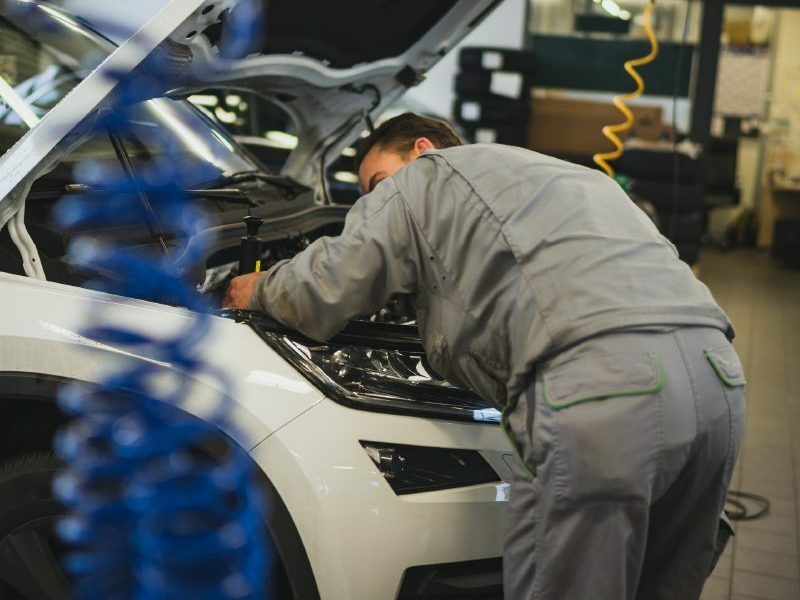 Team spirit takes top priority and you can really feel it in the air – from the trainee mechanic to the experienced sales associate. “When you work in a setting like this, it doesn’t even feel like work,” says Welker. Keenly aware that a pleasant ambience is one of the keys to success, he didn’t rush into being a big-time dealer straight away, but took one step at a time. He has never tried to bite off more than he could chew. 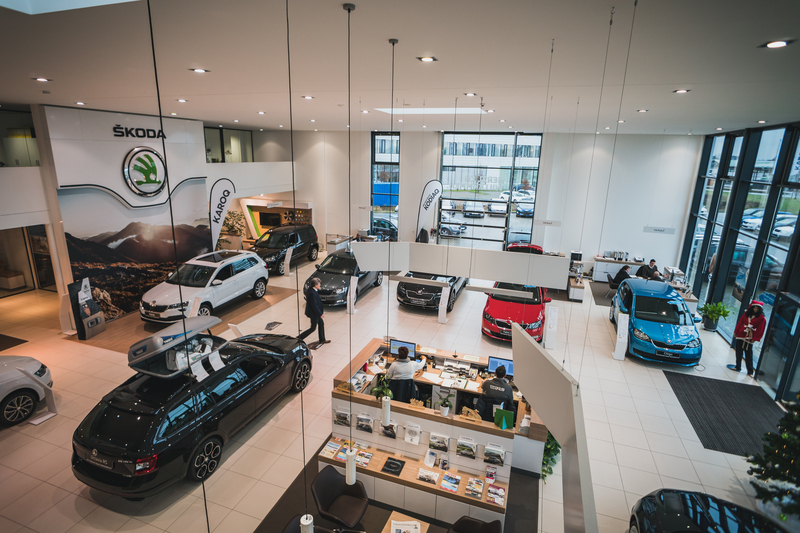 He has always preferred to think things through carefully rather than leap into big changes – especially when it comes to expanding his dealership. Keeping up with the latest technology is also important. 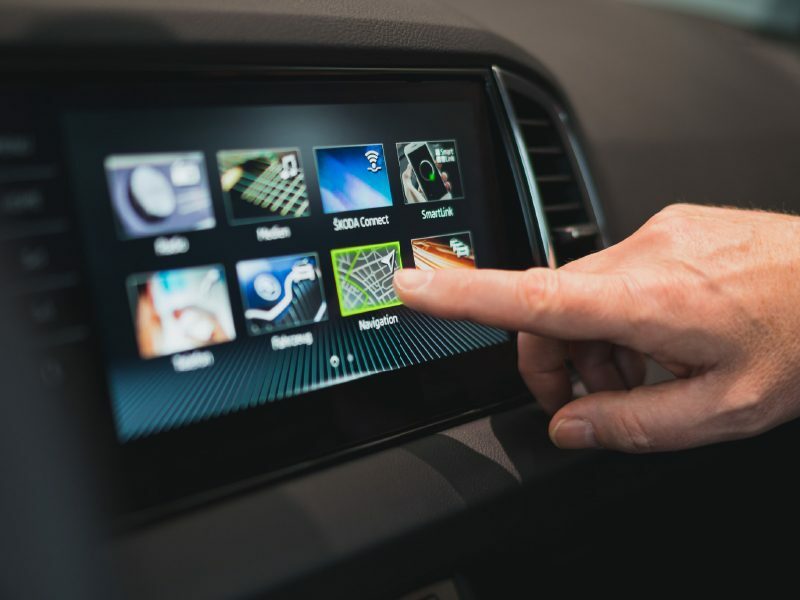 Setting up ŠKODA Connect in infotainment systems and installing Media Command are now part and parcel of his day-to-day work. If customers need help creating an email address first, he’s happy to do that, too. Sometimes Welker thinks back to his beaten-up cassette player and marvels at how today’s infotainment is capable of so much more. And it’s all thanks to technological progress – his passion. 1. WHAT’S YOUR WORKDAY LIKE? First thing in the morning I go through my emails at home. When I get to the office, we start with a team meeting to make sure everyone is aware of what is going on. 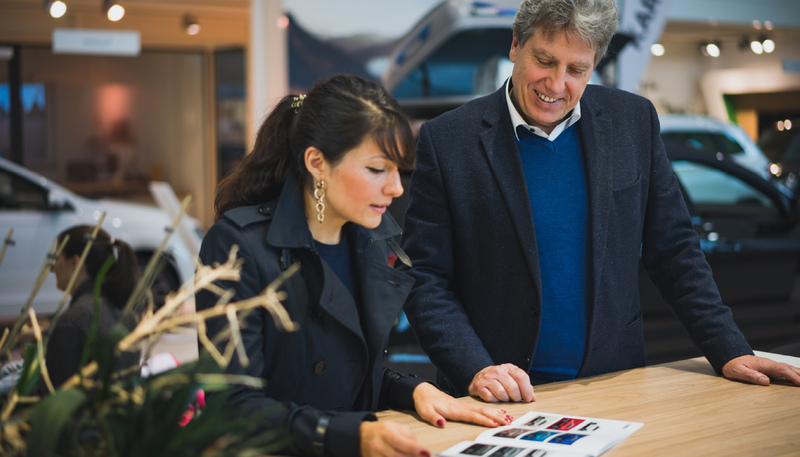 Over the rest of the day, we focus on the most important part of the job: the customer. I get home late – after eight yesterday, but it was worth it because, in the end, the customer bought the car. 2. 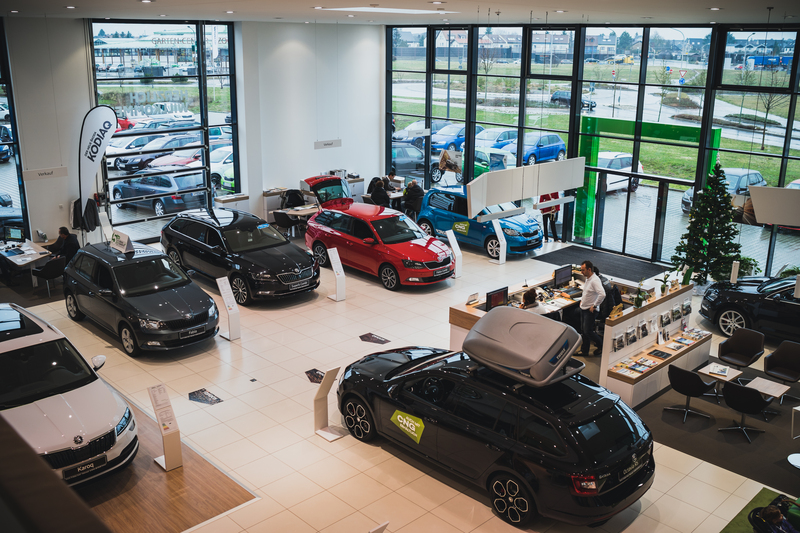 WHAT’S THE STORY BEHIND YOUR BECOMING A ŠKODA DEALER? In 1987, I rounded off my apprenticeship by passing my finals to be certified as a master mechanic. That paved the way to my first garage, “Welker and Wagner”, which I set up with a friend. Being my own boss was like a breath of fresh air, and it wasn’t long before we had our first contractual partner. 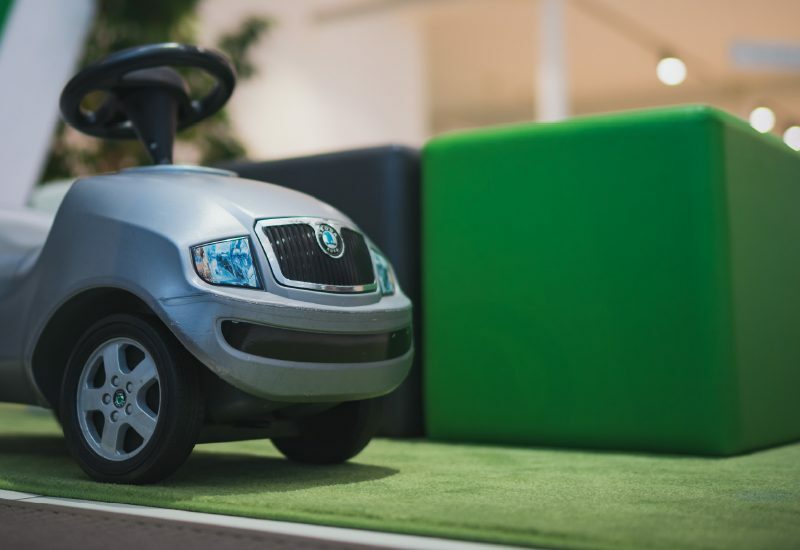 Ultimately, in 1993, we became ŠKODA dealers. 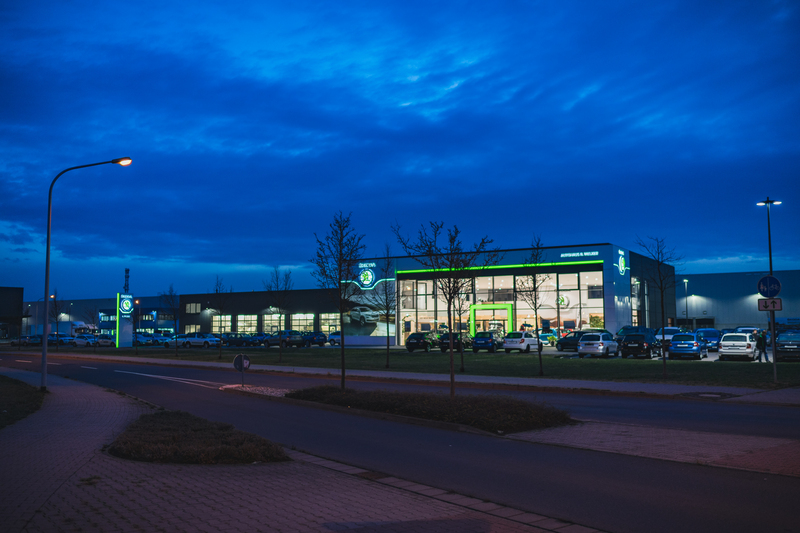 Today, we sell more than 600 cars a year, we employ 30 people, and we have 6,500 m² of display area. 3.- 4. WHAT DO YOU LOVE ABOUT YOUR WORK? ANYTHING YOU ARE AVERSE TO IN YOUR WORK? 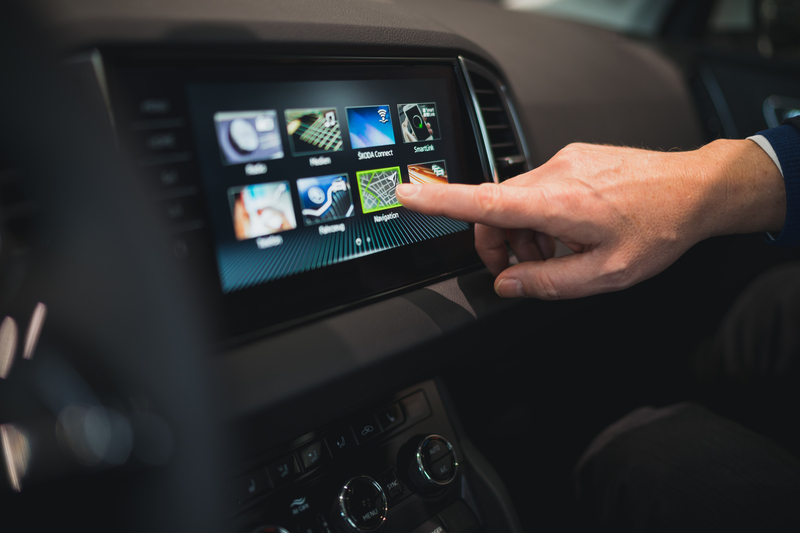 The customers, the technology, the cars. I’m pretty sure my blood runs green, not red. The processes in place can complicate matters sometimes. To take a recent example, a customer ticked off several options in the online configurator that he wanted, but that I can’t order for him in our system. In the end, it is me who shoulders the responsibility and I am the one who has to apologise to the customer, even though it’s not my fault. 5. DO YOU REMEMBER YOUR FIRST OUTING IN YOUR VERY FIRST CAR? We didn’t get very far. I parked it in the garage so I could build the centre console I needed to install a cassette player. Music was important, you know? I’d most likely be repairing aeroplanes. Or whatever we’d be using to get about. Technological progress has always been a big well of inspiration for me. 7. 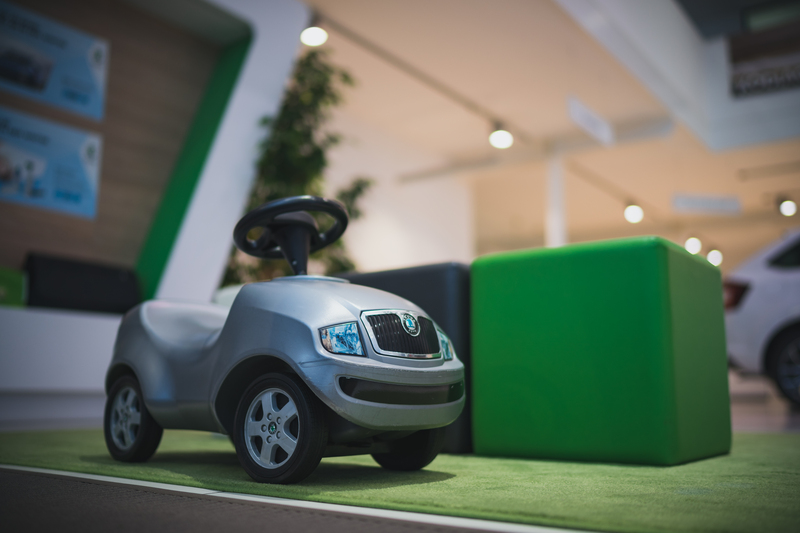 WHAT WILL CARS LOOK LIKE IN 20 YEARS? Hopefully they’ll still be sold in dealerships. I have no idea about the appearance or technology. I dare say, though, that in 20 years we still won’t be flying through the air in our own machines. 8. WHAT WAS YOUR FAVOURITE TOY WHEN YOU WERE LITTLE? I adored board games. Frankly, in a world without computers or smartphones, there wasn’t much else around. Monopoly was my favourite. Who knows, maybe it helped to make me the businessman that I am today? 9. DO YOU HAVE ANY FUNNY CAR STORIES? Right after my apprenticeship, my then girlfriend and I drove to Spain on holiday in my Opel Kadett. The trip was fine until we noticed a strange rattle and couldn’t locate it. What was worse, it was only there when I hit 100 km/h. Not 95 km/h, not 105 km/h. It was driving me nuts. When we got there, I worked out that the sound was from a peach stone I had tossed into the ashtray just as we were setting off. 10. WHAT’S YOUR DREAM CAR TRIP? Africa! With my wife. In a ŠKODA KAROQ. Exploring the desert, going on safari, and discovering the countries themselves. That’s my dream.